It's not often I say this but even at this work in progress stage such as missing the sounds/audio and a high score, Video Meanies is a very good remake indeed from PJG Developments; an almost perfect 1:1 remake of a classic game. 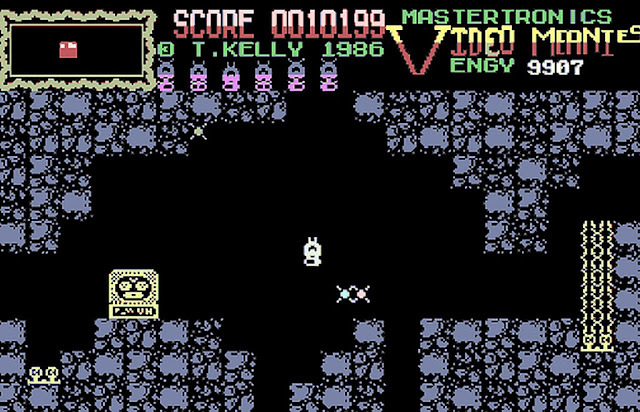 Being able to control the robot, blasting away the meanies and trying not to die by the high difficulty before you even shut down the main machines, really makes me feel like I've been taken back the 80's, but with improved graphics. It's also nice to see the developer has kept the core gameplay intact, but improving the graphics, without ruining it all by going 3D which so many remakers have done in the past. But that's just my opinion and purists may disagree, so give it a go today, I think you'll like this early version!